Sarga is a provider of low cost, highly trained and talented resources to support a client’s SAP applications. Sarga utilized a proven staffing model to locate, screen, and hire qualified individuals based on each client’s unique specifications and requirements. their professionalism, commitment and responsiveness have been excellent. We would certainly recommend them for IT support services. 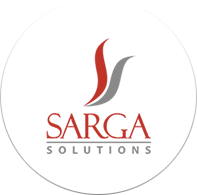 we are lucky that we found Sarga Solutions who provided exemplary support services for our IT needs. Sarga is a global enterprise solutions provider committed to designing and delivering solutions that enable international companies to thrive in today’s complex business environment.